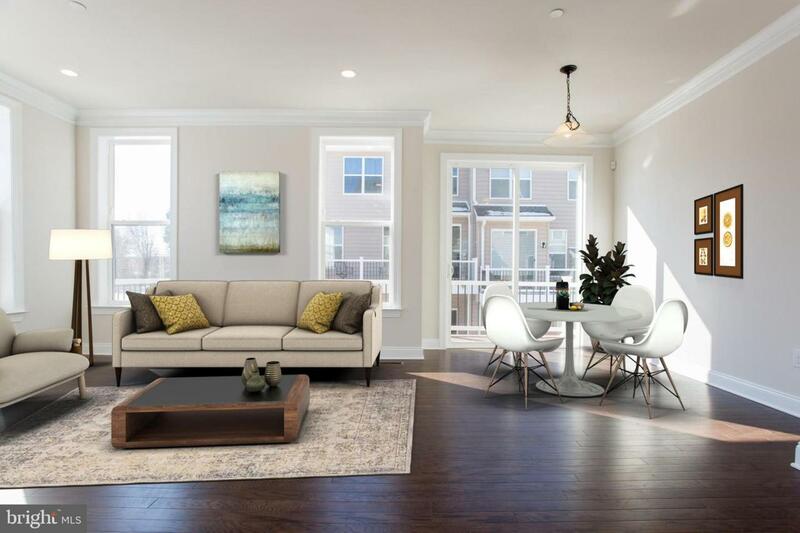 This Fulton features an open floor plan on the living level. 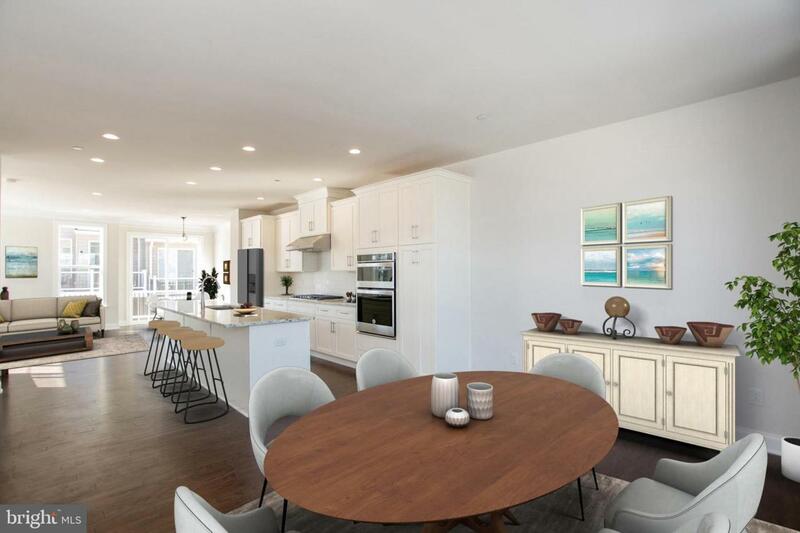 The great room is conveniently open to the centrally located gourmet kitchen, which adjoins the dining room in the front of the house, with upgraded hardwood flooring on this entire level. The gourmet kitchen features upgraded granite countertops, tile backsplash, and cabinets. The master bedroom suite includes a spacious walk-in closet and a luxurious master bath encompassing an ample shower with upgraded ceramic tile floor, and dual vanities. 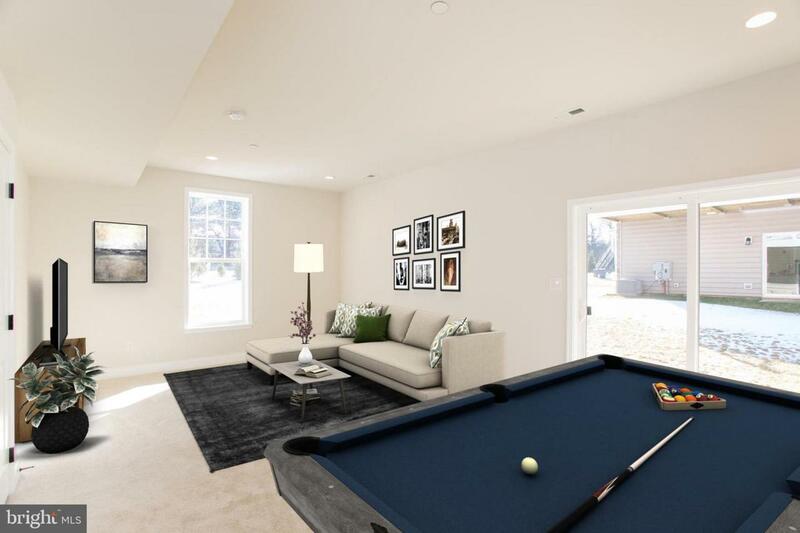 A large recreation room on the garage level has an additional powder room adjacent. 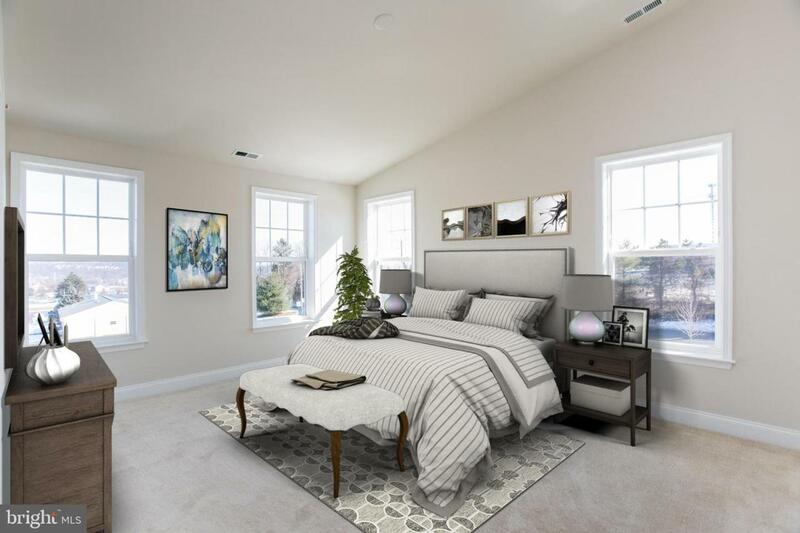 Nine-foot ceilings on the lower level and living level, and vaulted ceilings in the third-floor bedrooms. As an end unit, this home includes additional windows on the side of the house, providing even more sunlight, and overlooks community open space. A low maintenance Trex deck is included. Taxes to be determined. Please see Sales Representative for details. Open daily from 11 am to 6 pm.